The 1D X was announced in October 2011, but didn’t ship until July 2012. The 1D X 2 (1D mk6) was launched in February 2016. The Mk3 will ship in time for the 2020 Olympics (pretty good bet). With Canon’s lengthy update cycles for high end cameras, I’m not expecting much here until later in 2019, but I’ll update the page with any info we’re sent or that I see on the web. There is a regularly updated timeline for EOS cameras further down the page. One of our longest running rumour pages – Will Canon do Medium Format? Do you print your photos? I’ve written up my top 10 reasons prints look wrong. Never miss new articles/reviews – sign up for our Newsletter (2-4 max. per month). 15th I’m not expecting a 1series level of EOS R for some time yet, but I’ve added an EOS RX rumour page for when it does come. 6th There were two Canon camera models left in the latest ID codes found with radio certification data. One is the upcoming EOS RP, which looks like a small 26MP full frame mirrorless [Mirrorless page], that’s not much bigger than my 100D. Both it and the other model are said to be using the small LP-E17 battery, so definitely not 1 series (or 80D/7D2 updates). 20th The 1D x mk3 gets a mention [CR] as a (late) 2019 product – we’re a long way off from any announcement so, as expected, there is no real information/specs. For the timescale of a potential Mk3 introduction, mirrorless is unlikely to reach the performance demands of 1D X style camera users. Last DSLR left standing? Much as the film EOS-1 series continued a long time, I wouldn’t be surprised to see the 1D X3 (or even mk4) continue many years as Canon’s last production DSLR. 20th An interesting interview [DPR] from Canon at the recent CP+ show seems to have fired up mirrorless rumours, but it pretty much confirms a new ‘flagship’ camera in time for the Tokyo 2020 Olympics. That’s still likely to be a 1D X mk3 IMHO. 25th The timeline is updated and I still don’t expect to see anything 1D X mk3 related until late 2019 or early 2020, in time for the next summer Olympics. By 2020 we should be well into Canon’s move to mirrorless, but I’m feeling there is at least one more top end DSLR in the company. 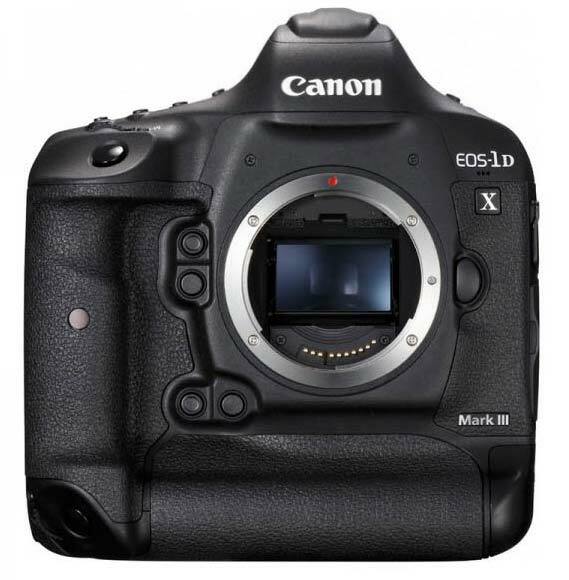 So, what will we see in a 1D X mark 3? Given the nature of its market I reckon it will still be in an obvious 1 series body. The safe money goes on another modest increase in speed, improved AF performance and bump in megapixels. For video, good 4k would seem obvious, but going to 8k needs a somewhat higher MP count. It’s far enough ahead that we may see much more of a change in basic sensor type – the 1DX2 has dual pixel AF and on-chip A/D conversion. The amount of non-bayer (‘foveon type’) sensor patents has seen a jump recently and I’d not be surprised to see Canon or (more likely) Sony dip their toes into this area in 2016/17 – will it be the next big thing, as regularly predicted on forums since Foveon’s first appearance? I’m definitely not seeing a place for an EVF in Canon’s next flagship camera, even if by 2020 it has appeared lower down the EOS line. Will we see a return of a 1 series ‘s’ model? I’d suspect less likely now that the 5Ds/R has taken a lot of the high megapixel market. LCD monitor 3.2 inches, 1.62 million dot. Touch panel. We’re likely close enough to an announcement that such details are a bit more worthy of attention. Still no signs of detailed info I’m afraid. One idea is that the 1D X mk2 will replace both the 1D X and 1D C.
I don’t know how good 1D C sales have been and whether the likes of the C300/500 meant that a dedicated video 1 series body just doesn’t fit any more? …it is an Olympics year after all, so a new 1Dx is quite reasonable. 3rd Some more 1Dx2 mentions [CR] maybe faster cards (CFast) and Digic 7. 8th A suggestion [CR] that the 1D X 2 will manage 14 fps with a 24MP sensor. 5th Another mention of the 1D X replacement [DPR] and putting an announcement (along with the 5D 3 replacement) around the US Photoplus show in October. 2nd A drop in price of the 1D X to $4600 [Adorama] – look out for more widespread price drops, that sometimes trail an update? 12th If we’re to see a 1D X mk2 soon, the there should (hopefully ;-) be a few more leaks. There are suggestions [CR] that the new camera will have many more AF points (cross type) and that changes in viewfinder capabilities will be needed for it. 13th The actual appearance of a 1D X mk2 is pushed into 2016 [CR] even if it gets an announcement this year. … let’s just hope it ships a bit faster this time? 4th The 1D X mk2 is suggested as getting a high MP sensor, although apart from both Sony and Canon saying in interviews that there will be such a sensor appearing some time, there is as yet very little actual evidence for where Canon will put one. See main rumours page for more. 21st Both the 5D mk4 and 1D X mk2 are to be announced January/February of next year, we’re told (thanks). The info suggested that this was what was being tested in the studios we heard about last month, and that elements of it woud appear in the upcoming 7D mk2, but that the real advance would be seen next year. 27th We’re told (thanks) that someone from Canon recently visited several studios in NYC with a ‘test’ 1D X body for some well supervised tests. Images had to be processed on a particular laptop that came along with the camera/minder and no images were allowed to be retained. The camera produced files of similar dimensions to a 5D3, but exhibited -much- better colour rendition and detail, with no moire. The only other real info was that the camera was for later this year or early 2015. Is this some new sensor design from Canon? I asked for more details, but it seems that the whole test process was very secretive. If anyone else has heard of similar tests …? 30th The ‘4 full frame’ cameras info mentioned the other day (main rumours page) generated a lot of feedback[thanks]. From one of our long standing sources came the (not unreasonable) response that it was all ‘too good to be true’ and that the current ‘unified’ 1 series will continue, with a new model announced later on next year with a split pixel sensor and ‘modest’ bump in pixel count (it would share a slight change in body shape with a 1D C update). No big MP camera, and no move into MF. The 1/1C/5/6 line was it for a while. Given that this is the one person who consistently told me to expect a 1D/1Ds merger, from 2010, should I perhaps take a bit more notice this time? 22nd still rumours pointing to a ‘high MP camera’ next year, but the follow on to the 1D X is several years away. 20th Given the 1D X still isn’t shipping, there’s not much here yet. 19th We’re told (thanks) that a much higher resolution camera was being tested this year, but events in Japan, the upcoming Olympics and Nikon D4 mean that any studio version of the 1D X is ‘some time away’. This would tie in with comments we had earlier this year suggesting that Canon still saw the benefits of having two versions of their top camera. Whatever happens, I’d expect the 1D X to last at least 2-3 years. 18th The 1Dx is announced, so in true rumours tradition, we have a mark 2 page. I’ve updated the Canon DSLR timeline below. -New Battery, Available – March, Price unknown. A ‘full frame’ 16-20MP 1D5 is suggested at CR, but what about the largely discontinued 1Ds3? Another one that puts APS-C crop pixels at 1/1.6 the FF value – doh! 8th Lots more somewhat variable specs lists appearing at CR. I note that the creator of these particular specs hadn’t realised that pixel numbers for FF are around 2.6 times APS-C numbers for the same sensor design. 6th Some very detailed specs are published at CR. It suggests that the 1D and 1Ds lines will be merged into a 1D Mark V.
So, I wonder… How do you announce this and ‘sell’ it to current 1Ds3 or 1D4 users? Nope, another wish list IMHO. 2nd At CR there are suggestions that the 1D/1Ds merger may be ‘sooner than expected’. 13th Whilst we get a comment to expect the 1Ds4 announcement in ‘late Spring’, at CR they are suggesting a 1D5 to unify the 1D line, with the 5D3 moving ‘upmarket’. 12th Ever since the 1D Mk2n there are, a year or two into its life, suggestions of an ‘n’ variant of a camera. This time a suggestion [CR] is that a ‘video free’ version would be produced to alleviate some problems with sports photographers and video rights at events. 16th There is a suggestion [CR] that a full frame 1D5 could appear next year. That would make the 1D4 rather short lived, although I’ve seen it suggested that the 1D4 was moved forward from an early 2010 release after the ‘focus issues’ with the 1D3. Replacements for the 1D4, 1Ds3 and 5D2 next year would also make for a lot of announcements – perhaps enough to take some of the light of publicity off a Nikon D4? 11th The 1D4 is now well over a year old and there is still no sign of a 1Ds4. Whilst we’ve had several comments suggesting that the tight 1D/1Ds model coupling is to be broken with new models, there are no solid rumours yet. 3rd No sign of 1Ds4 yet, so a 36 month cycle – as before? 22nd Some suggest the 1Ds4 is due tomorrow – putting the 1 series on a 30 month update, so Feb 2012 for the FF 21MP 1D5? 18th A report from the US (thanks) about a large dealer asking if someone wanted to be put on the 1DV waiting list. How do you explain (excluding reasons of superstition) missing out 1D mark IV ? – Video. The camera will have to contain the best video performance in an EOS camera. We know that Canon was genuinely surprised at just how well the 5D2 video features were taken up and has (so we were told) had several big re-arrangements of staff and organisational structures. Check the 1D Mk4 rumours page for our full rumour history for this camera. 11th Lots of people suggesting that there will be a Mark IV announced at the end of this month. Quite a few still suggesting that the numbers will jump from four to five, however this assumes a reticence to use the number ‘4’ due to it’s ‘unlucky’ nature in some far eastern cultures. 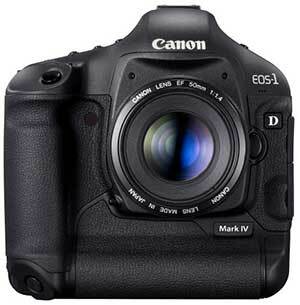 Official Canon info tends to use terms like Mark III – Roman numerals, so a 1Dmk4 is not what you’ll see from Canon, but a 1D Mark IV might well be. Yesterday a new comment we’ve received, said that the 1D4 will be 12fps/16MP and 1.3 crop, with better video than the 5D2. Self-cleaning can be done automatically when the power is turned on/off. During manual cleaning ([Clean now]), the data for light spot correction is also obtained. Recorded to the selected card. The CF card and CFast™ card record the same image at a different image recording quality (L, M1, M2, S, RAW, M-RAW, S-RAW). Both the CF card and CFast™ card record the same image at the same image recording quality (Also applies to RAW+JPEG). RAW + JPEG Simultaneous Recording One of three types of RAW images and one of four types of JPEG images can be recorded together. Settings Auto (Ambience priority/White priority), Daylight, Shade, Cloudy*1, Tungsten Light, White Fluorescent Light, Flash, Custom (Custom WB) 1–5*2, Color Temperature, PC-1–5*3 (Personal WB) *1 Also effective in twilight and sunset. Linkable to all AF points. With automatic AF point selection, center spot metering will apply. The metering mode can be specified. For [Highlight tone priority], the settable ISO speed range will be ISO 200–51200. 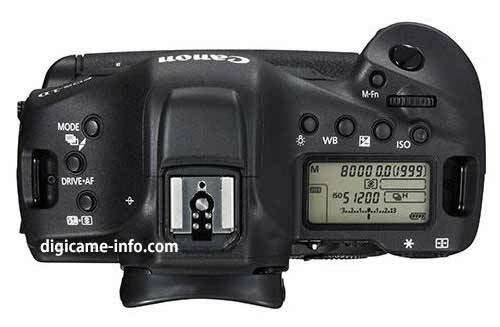 • Shutter speed’s control range can be set. * Sync speed: Since the flash duration of studio flash units vary, set a sync speed within 1/125 sec. to 1/30 sec. and check if the flash sync works. With “Full”, continuous shooting is possible until the card becomes full. * Magnify the image by 5x or 10x and focus manually (not possible during movie shooting). Highlight Alert On the single-image display, highlight areas without any image information will blink. Protection Erase protection can be applied or canceled for a single image, all images in a folder or all images in the card. Erase Erase a single image, selected images, all images in a folder, all images in a card or erase only unprotected images. Camera User Settings Current camera settings can be registered to C1, C2 and C3 on the Mode Dial. My Menu Registration Up to six top-tier menu options and Custom Function settings can be registered. Video Out Terminal AV/OUT terminal not provided. HDMI mini OUT terminal is Type C (Resolution switches automatically) / CEC compatible. The correct video format of [NTSC] or [PAL], matching the connected TV, must be set or the video image will not appear. With the AC Adapter + DC Coupler, AC power of possible. When fully charged, the date/time can be maintained for approx. one month. To become capable to maintain the right date/time for one month after main battery power exhaustion. * Start-up time becomes longer with a battery being used for the first time with the very camera. Viewfinder Frame Coverage Vertical/Horizontal approx. 100% FX (36×24): 100% Horizontal and 100% Vertical Approx. 5:4 (30×24): 97% horizontal and 100% vertical Approx. Viewfinder Magnification Approx. 0.76x 0.70x Approx. Top Continuous Shooting Speed at full resolution Super High-speed: 14 shots/sec. Built-in Flash No way! No! Approx. Dimensions 6.2 x 6.4 x 3.3 in.